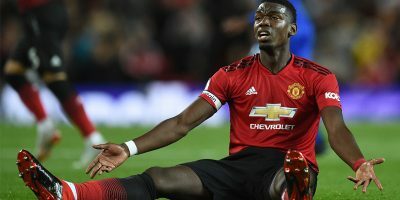 Manchester United may have got their 2018/19 Premier League season with a relatively routine home win over Leicester City, but it appears that unsettled midfielder Paul Pogba could yet force a move to Barcelona before August 31. The Catalan giants, on the alert after Pogba?s ?rift? with manager Jose Mourinho came out in the open, are reportedly chasing the World Cup winner, despite United?s firm no-sell policy. With the transfer window shut for Premier League clubs i.e. United cannot add any more players, only get rid of some deadwood, it is unlikely that they will part ways with a player they broke the transfer record for just two years ago. Still, the fact that the star midfielder and Mourinho reportedly don?t see eye and Pogba?s notorious agent, Mino Raiola, is pushing for a move, a transfer to the Nou Camp can?t be ruled out. Mourinho offered Pogba an olive branch on Friday by giving him the captain?s armband for the first game of the new season and the midfielder responded with one of his better displays for the club. So what?s Pogba trying to say? That he?s a model professional and despite all the on-field chatter, he?s just focused on his game? Or is he assuring the fans that he?s committed to the club no matter what?